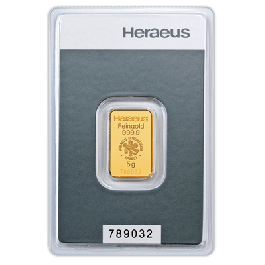 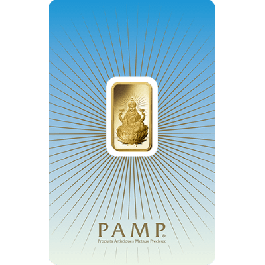 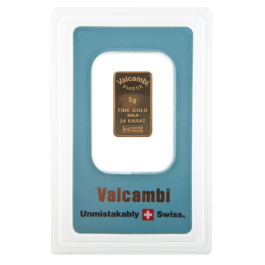 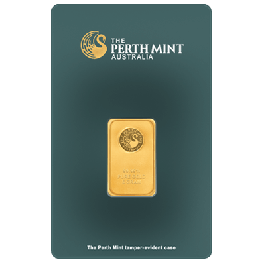 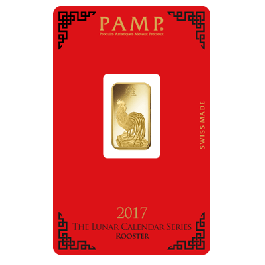 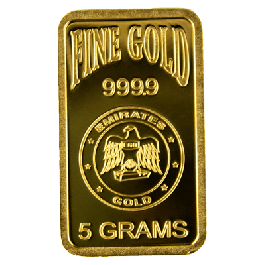 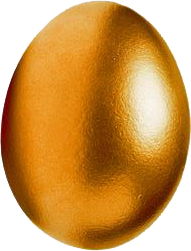 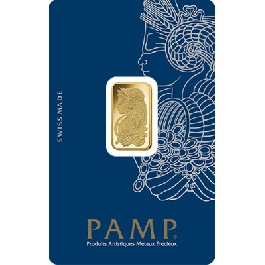 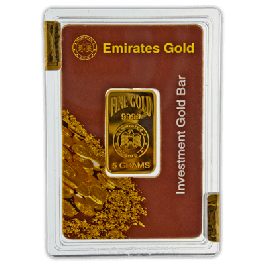 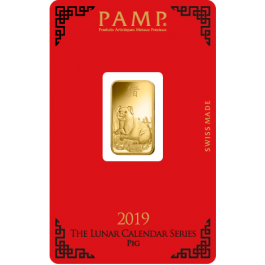 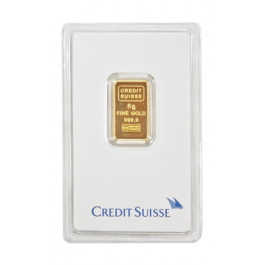 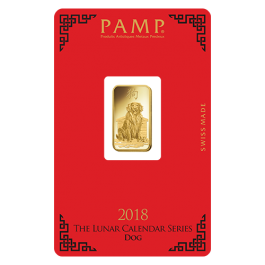 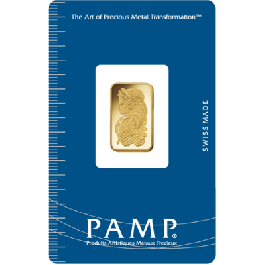 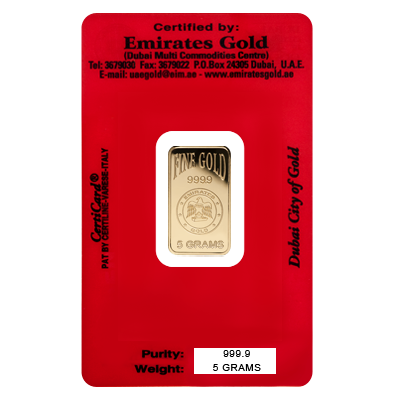 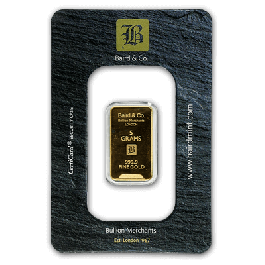 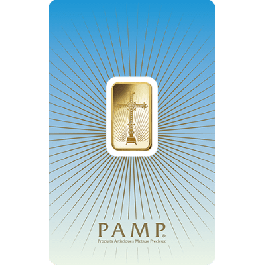 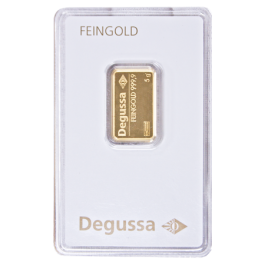 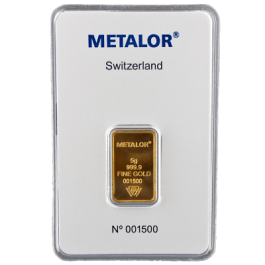 Made of Gold of high purity, this prestigious 5g Bullion Bar could make a solid investment. 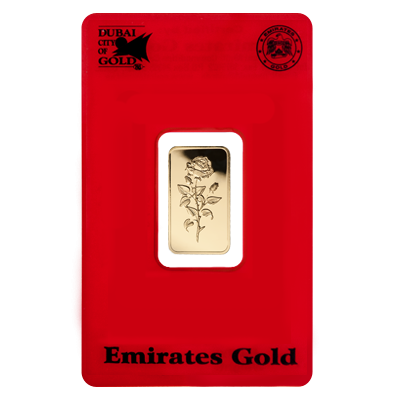 The obverse is stamped with a beautiful Rose, making it a stunning gift for someone close to your heart. 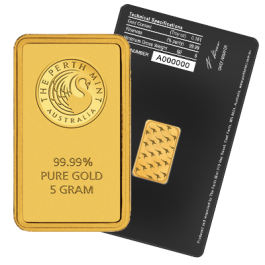 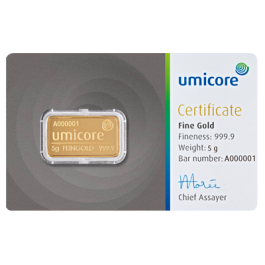 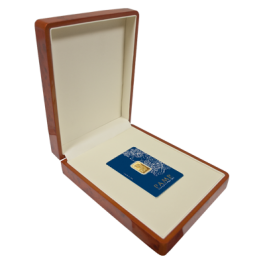 Each gold biscuit bar comes encapsulated with cutting edge security tabs and is fully certified.